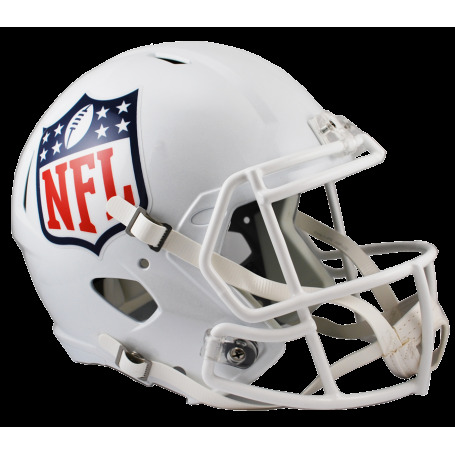 The most popular on-field helmet design is now offered as a Replica display helmet. Medium size Speed shell, with the same facemask and 4-point chinstrap as the authentic version. Includes a non wear plate and moulded foam jaw pads. Not to be used for play. Approx. 9.5" tall.